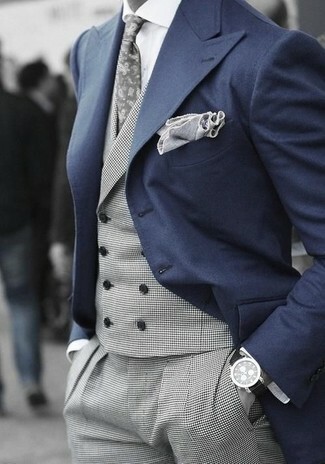 Want to infuse your menswear collection with some elegant dapperness? 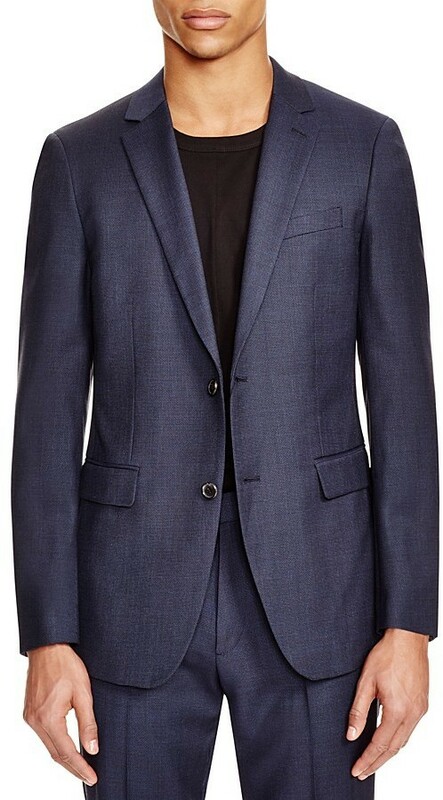 Consider pairing a Theory Birdseye Slim Fit Sport Coat with charcoal sweatpants. Now all you need is a nice pair of white low top sneakers. A Theory Birdseye Slim Fit Sport Coat and beige jeans are among the basic elements of any versatile wardrobe. If you want to feel a bit classier now, introduce brown leather oxford shoes to the equation. You're looking at the hard proof that a Theory Birdseye Slim Fit Sport Coat from Bloomingdale's and grey dress pants look amazing when you team them together in a refined look for a modern guy. A Theory Birdseye Slim Fit Sport Coat from Bloomingdale's and green chinos matched together are a perfect match. If you wish to instantly tone down your ensemble with shoes, add brown suede driving shoes to the mix. This pairing of a Theory navy blazer and white shorts couldn't possibly come across other than seriously stylish and effortlessly neat. Ramp up the dressiness of your look a bit by rounding off with a pair of brown suede oxford shoes. Want to infuse your closet with some effortless cool? 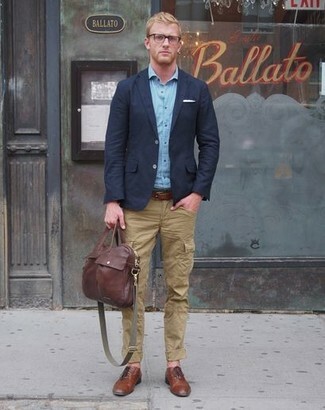 Consider teaming a Theory Birdseye Slim Fit Sport Coat with olive cargo pants. Get a bit experimental when it comes to shoes and polish up your ensemble by slipping into brown leather derby shoes. 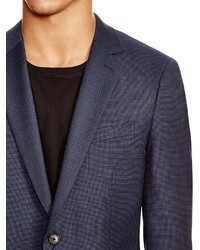 Wear a Theory navy blazer and a white and black gingham dress shirt to exude manly sophistication and class. Consider teaming a Theory navy blazer with grey wool dress pants if you're aiming for a neat, classic ensemble. Let your styling prowess really shine by complementing your outfit with black leather double monks. 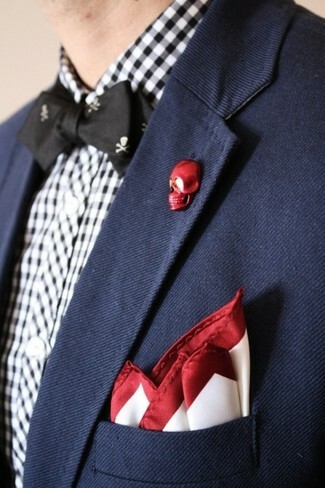 Reach for a navy blazer and black jeans to assemble a dressy, but not too dressy menswear style. If you want to immediately play down your outfit with one item, complement this look with a pair of red leather low top sneakers.